﻿When Barbara Deschenes was diagnosed with breast cancer in 2011, she felt conflicting senses of fear, confidence and resolve. She had a lot of questions. 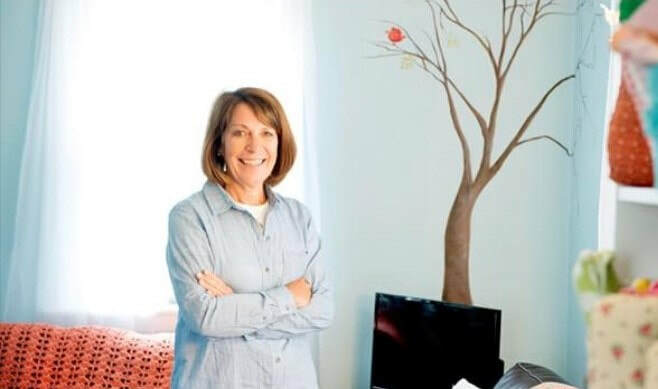 In 2012, a year later and cancer free, Barb Deschenes along with co-founders Suanne Craib and David Wilson (both cancer survivors as well), decided that the Western Maine region needed a place where people diagnosed with cancer could go; with the goal to help patients diagnosed with cancer navigate the emotional terrain of diagnosis and treatment; what to do with life after facing the prospect of death and to provide spiritual well-being. For this group of survivors, a local center seemed logical especially when Stephens Memorial Hospital started offering chemotherapy infusions in that same year. In addition, Patti-Ann Douglas, the hospital’s Cancer Patient Navigator (hired in 2012) also realized the need for a center after hearing many emotional survival stories. Over the next few years, an informal group began meeting regularly at the hospital to discuss how their dream could become a reality. 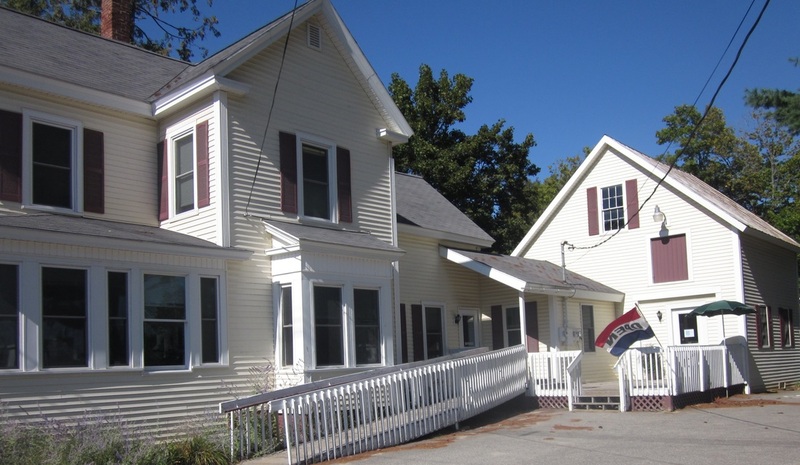 During the fall of 2014, visits were made to three Cancer Centers; one in South Portland, one in Lewiston and one in Ellsworth which resulted in generating more enthusiasm and positive energy. 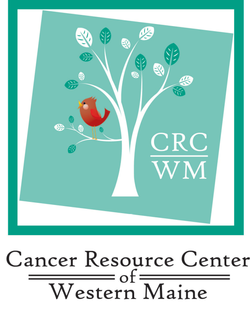 In January 2015, a steering committee was formed and through months of meetings and visioning sessions the Cancer Resource Center of Western Maine was officially born. The vision for the Center is to provide education and support for the person with cancer and their family by offering free programs in a warm and welcoming environment. 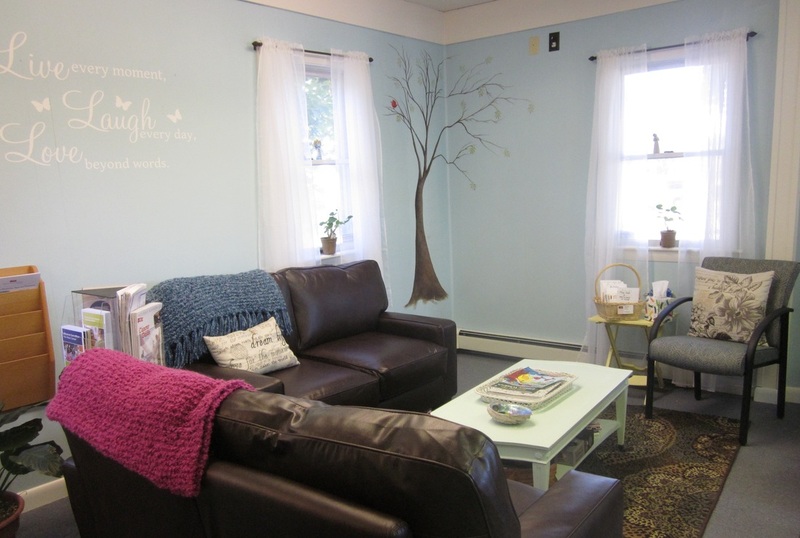 Realizing they needed an actual space, a small room located in the Oncology building of Stephens Memorial Hospital at 199 Main Street became the new home of the Cancer Resource Center of Western Maine. A group of volunteers helped to make the room warm and welcoming by painting it a pretty light blue, adding sofas and chairs, pillows, curtains, a rug and inspirational wall art. 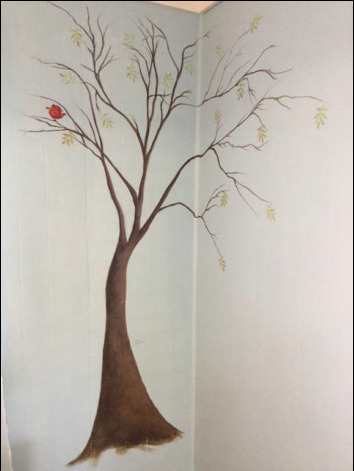 Local artist Pam Morra volunteered her time to paint a beautiful tree with a red cardinal on one of the branches....this tree symbolizing immense and enduring strength. Many people from the community have come forward to share their ideas, resources and talents to help the Center become a reality. The Cancer Resource Center of Western Maine has drop in hours two days per week. We have support groups for both men and women. 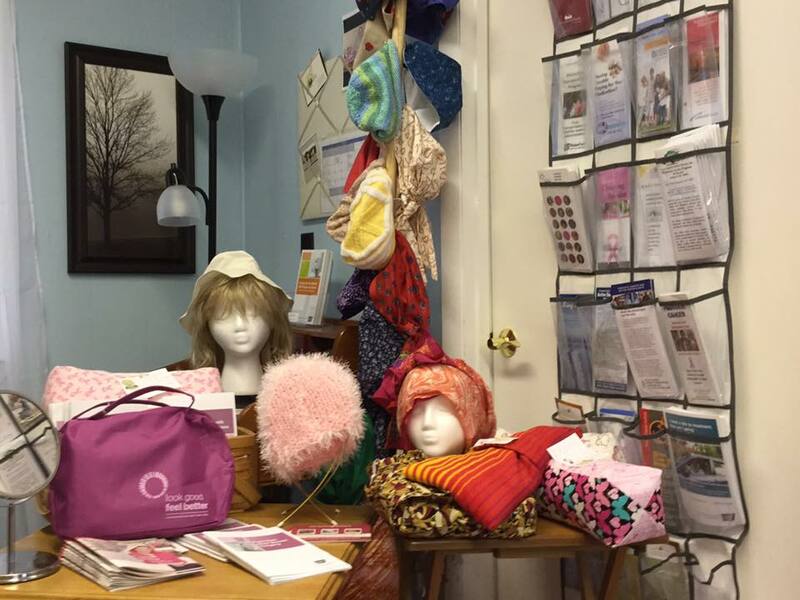 We offer wellness programs, we have comfort items, educational material and we offer creative services such as knitting, drawing/coloring, jewelry making and much more. We offer all these services free to anyone impacted by cancer. In addition to all these services, the Center can help provide some “Hope, Strength, Courage and Support”. Our logo was designed by Tamara Cox who is originally from South Paris, Maine, but now lives in Dover Foxcroft with her husband and family. Tamara happened to see some posts regarding the new Cancer Center and she messaged Barb to offer her services with designing and creating our logo. For many of us Cancer has hit close to home in one way or another and Tamara was no exception. Her inspiration, in her words " Well, to be honest, it was a visual thing for me. I just didn't want to create the typical logo in a box. People who are challenged with a Cancer diagnosis shouldn't be pigeon holed into feeling or experiencing things exactly the way society may want them to. This logo reflects a calm, somewhat disorderly reflection of what I felt when my mum was diagnosed." Thank you Tamara for our beautiful logo and for capturing the emotion and symbolization of immense and enduring strength. Amanda Dempsey Award Goes to Norway Women Who Started Cancer Center! Congratulations Barb! Thank you for all you do!